Email mcas@frontiernet.net This dog's owner died and he was surrendered to the local kill shtler by a close relative. His name is "Buddy'... He just turned 3 yrs old and came in intact. He has developed cage aggression and is severely stressed in the shtler environment after being there for 6 wks now. He has bonded to one of the employees and she is the only one who knows him well enough to get him out as the rest of the staff is scared of him. Once out of his run he is totally devoted to her and his focus remains solely on her. She allows him to run off lead in an adjoining field to play fetch and run. Other people around him are of no interest and he ignores everyone else though he will let you pet him and is safe to be around. It's heartbreaking to see him being forced to go back into his run which he refuses to go back into except under physical force. He was NOT that way when he first arrived and went in and out at ease. Now with his cage aggression shelter policy will not allow the staff to take him out (considered aggressive dog) and this is making him so much worse with no exercise. 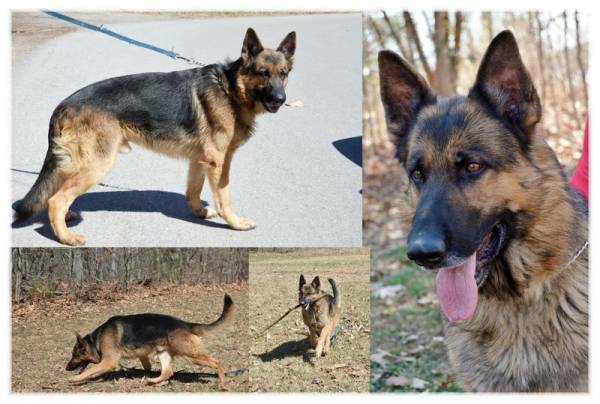 He needs a german shepherd savy adopter as he is intently focused on his person that he looks to for guidance. His prior owner was a woman who apparently set few rules for him. He knows a few commands... sit, down and shake.. and responds very well to these. He's not been formally dog tested though appears to be a dominant male so other males are probably not advisable to mix him with. Two stray puppies approached him outside and he sensed they were puppies and was fine with them... He was not raised with children. He was surrendered with an AKC registration transfer ... there is information who his sire and dam are, though neither name is of any notoriety. This is a KILL SHELTER and with Buddy's cage aggression he is being deemed aggressive and they do euthanize unadoptable dogs without blinking and eye. If anyone is seriously interested in adopting him please contact MERCER COUNTY SHELTER IN PRINCETON WV. I have no ID number on him but they will know who is is by his name and breed. I will give out the cell phone number of the employee who he has bonded with if you would like to speak to her directly. Honestly he is a great dog who is stressed to the max. How sad. This rescue in MD may be able to help http://www.magsr.org/. Dog 1 lives in W VA. You might want to pm him via this forum or he has a website. I'll try to find that link. Just sopke to the manager at the shelter( (304) 425-2838( April 2 2:36 EST) , and she said that somone has agreed to adopt Buddy. So someone has agreed to take him, but in real life unless the person actually does show up and take him , there's still some risk. The manager said I can call back next week Monday to get an update. BTW he looks like an SL. Yes he is primarily ASL though could have some WSL in his background. He was bred by a typical 'byb' of pets with probably no rythme or reason as to what she was crossing... but he is still a handsome dog and a good size..straight backed and upright on his hocks. Excluding his cage aggression, he is not a fearful or shy dog. He seemed pretty sound on his temperment though it's hard to fairly assess a dog in that situation . 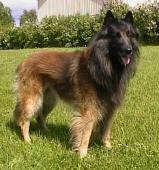 His sire and dam have no kennel name associaton and no titles. I hope the person shows up to take him ... they were trying to be particular who adopted him so hopefully he will have a good home. THANK YOU for checking on him with the shelter.. I'll check on him also to make sure he gets out of there. If his new home doesn't work out. Let me know. I'll try to help. How many times does this happen - the owner gets sick and/or dies and no one in the family will take the dog and it ends up in a kill shelter. We just had exactly the same story on my breed board (not GSD's) and my members rallied together and now the female who had only a few days to live is in a foster home. There are good people in the dog world; we don't often give them the credit they deserve. A lesson to learn - make arrangements for your dog/s in the event that you are no longer able to care for them. Most probably have already done that, but it is important enough to mention. Buddy's potential adopter never came to get him. . . IF you have interest in him "Dog1" please call the shelter. IF you would like to have the cell phone number of the employee who he's bonded with I'll be glad to give it to you if you msg me....She's current acting ACO for the shelter... she is fine with being called directly about him. . I have some video of him I'll try to get uploaded to You Tube later and post a link.